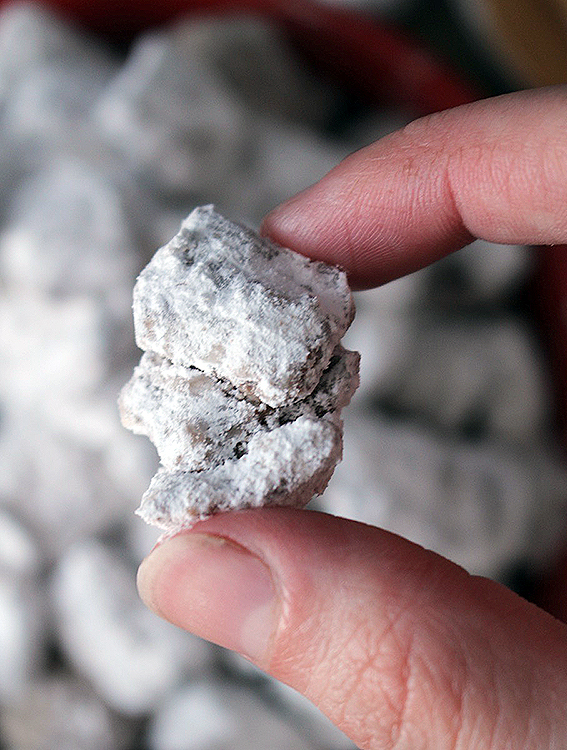 These Coconut Oil Muddy Buddies are so easy, quick and make the perfect snack. 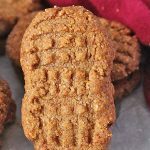 Crunchy, sweet, full of chocolate and peanut butter and irresistible. 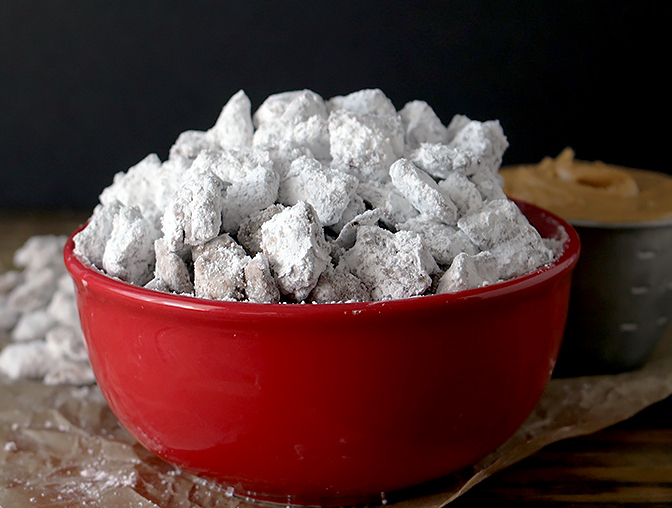 I grew up on Muddy Buddies (also known as Puppy Chow) and they are definitely a favorite of mine. Looking back I think one of the reasons my mom made them so often was because how easy they are. No oven or stove needed- just 1 minute of microwaving and some stirring. I have made them more times than I can count, but this is the first time making them with coconut oil and I love how they turned out! The recipe on the Chex box is good, but I must say, this one is better. Why? 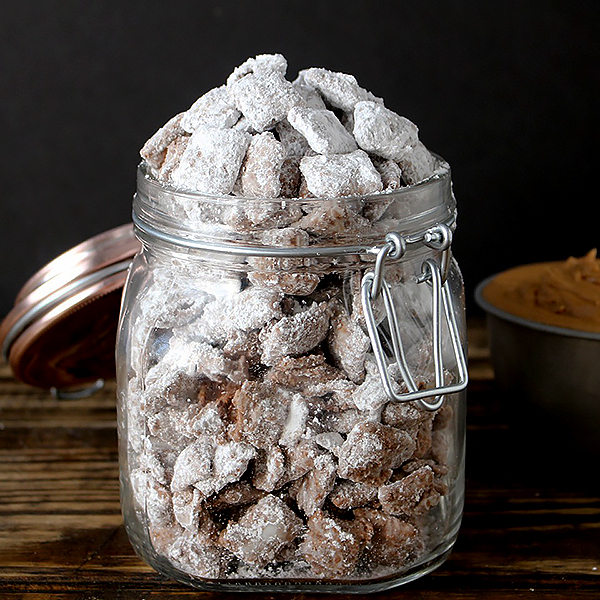 Because with this recipe, every Chex square is completely covered in the chocolate/peanut butter mixture and completely covered in powdered sugar. That was one thing I didn’t like about the original recipe- too many naked Chex 🙂 I upped the chocolate, peanut butter, and powdered sugar, guaranteeing every piece of cereal is covered and delicious. Another thing I did different is I switched out the butter for Golden Barrel Coconut Oil and the butter is not missed at all! 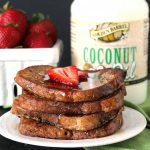 No, it does not make them taste like coconut, a question I often get when using coconut oil in place of butter. They taste like chocolate and peanut butter- just like the original. Making this easy switch makes them dairy free (as long as you use dairy free chocolate) and vegan! I also made a batch with almond butter and it came out great. I’m sure any other nut butter would work as well. They are also naturally gluten free which means they are great for any diet or allergies you’re working around. Sometimes you go for one piece and you get a whole cluster of them- it’s the best! 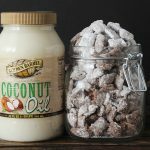 You will love how easy and delicious these coconut oil muddy buddies are! 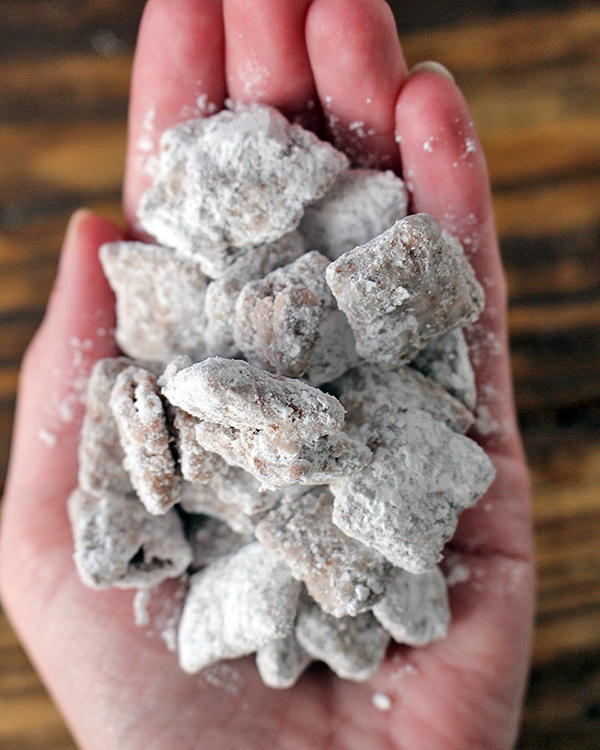 Crunchy, sweet, and a little messy. You won’t be able to quit snacking on these. Dangerous tip: try them straight from the freezer. ADDICTING! Measure the Chex into a very large bowl. 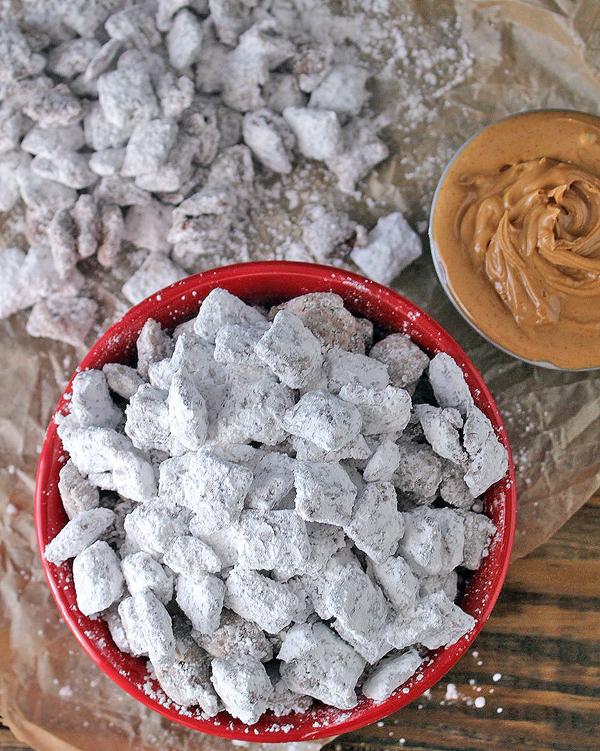 Measure the powdered sugar into a medium bowl and set aside. In a microwave safe bowl or measuring cup, combine the peanut butter, chocolate chips, and coconut oil. Microwave for 1 minute, stirring after 30 seconds. Stir until the mixture is completely smooth. If it’s not smooth after 1 minute, continue microwaving in 10 second intervals stirring in-between each one. Pour chocolate mixture oven the Chex and carefully mix. I like to use a spatula and fold the cereal from the bottom until all the cereal is covered. Be patient and try not to crush the cereal. Add the powdered sugar and gently stir again. Continue mixing until all the cereal is covered. Store in an airtight container at room temperate or in the freezer. Oh my word…I’m totally making these today, Jess! 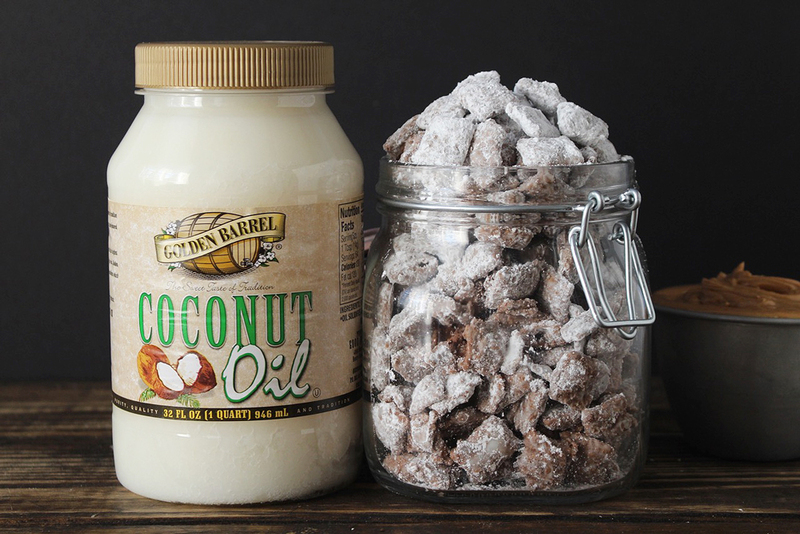 Afraid it will be quite awhile before I can make any of these scrumptious things made with coconut oil! My house is always between 79 and 90 from May to September here in NM. I only have a little bit of cooling in the bedroom for sleeping. Thus, my coconut oil is always liquid! But as soon as I can……! So excited for these! Have had to cut out dairy for my little one since breastfeeding. Do you have nutrition facts by chance?? Thanks! Thanks, Sarah! I hope you enjoy them! I don’t have the nutritional facts, I’m sorry. I know there are many places online where you can calculate that if you want. Do they get soggy after time? Hi Misty- no, they don’t. I also like to keep them stored in the freezer, but they shouldn’t get soggy at room temperature at all. Hope you try them and enjoy! Hi Lynette- yes, that would work perfectly. Enjoy! Hi Cheryl- I wouldn’t recommend soy, but sunflower butter would work great! Hope you enjoy! Hi wanted to know if I can make this in a crock pot ? How would I make this then ? Hi Donna- I don’t think that would work. It only takes a couple minutes to make so it’s super quick and easy. Hi, I used your recipe, stored them in the fridge and now taking them out, they are getting soggy. Not sure whether I should leave then out to harden or put them back in the fridge? Help!?! Hi Mandy- I’m not sure why that is but I suggest keeping them in the fridge. Hope that helps. 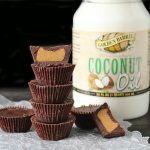 Do you use creamy sweetened peanut butter or natural?! Hi Emily- great question! I always use natural and make sure I stir it really good. I hope you enjoy! 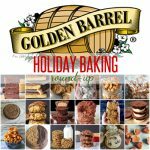 Can I use vegan butter instead of coconut oil? If so how much? Also is regular peanut utter instead of natural work? Hi Kerri- yes, both of those substitutions should work. Enjoy! 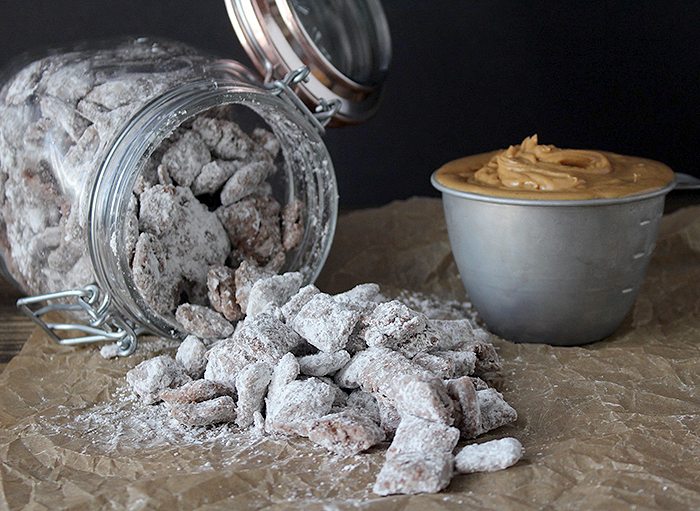 My very favorite recipe for muddy buddies!!! Turns out perfect every time. Thanks, Tori! I’m so glad you like it!